All Prices are in RAND and includes VAT. Handling and your choice of how the parcel is sent, will be added to the invoice. GSC does not keep stock, we manufacture on order only. We will contact you with approximate shipping times. Note that a deposit may be required and that final payment is only required when your order is ready to ship. Payment can be made with MasterCard or Visa credit cards and we will supply a link to a secure page for this. It is important to match the bullet correctly with the twist rate of your rifle. This will more likely ensure good terminal ballistics than the traditional, but unscientific, method of choosing a bullet by weight. 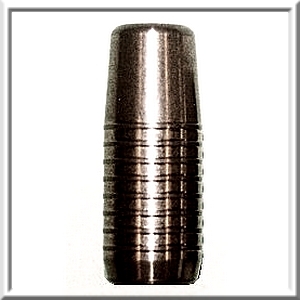 Please check the Technical Data page to ensure that the bullet is suitable.